Do you know the origin of the cross? Was Jesus crucified on a cross? 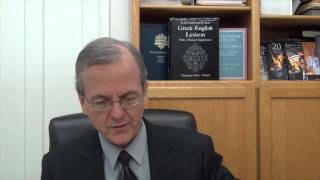 What do the Greek words often translated as cross or crucify actually mean? When did crosses get adopted by certain churches? Which groups called crosses ‘the mark of the Beast”? Have Catholic and other writers warned against the cross? Could the Antichrist use crosses to deceive? What do ancient Egypt and Babylon have to do with the cross? Dr. Dr. Thiel answers these questions and more. What is the Origin of the Cross as a ‘Christian’ Symbol? Was the cross used as a venerated symbol by the early Church? A related YouTube video is Origin of the Cross. This entry was posted on Sunday, February 23rd, 2014 at 12:02 am	and is filed under Church History, COG News, Doctrine. Could the ‘mark of the beast’ include some type of cross? Could a cross be a ‘mark of the beast’? Could a type of cross be a ‘mark of the beast’?